Heat oven to 375°F. Spray 11x7-inch (2-quart) glass baking dish with cooking spray. 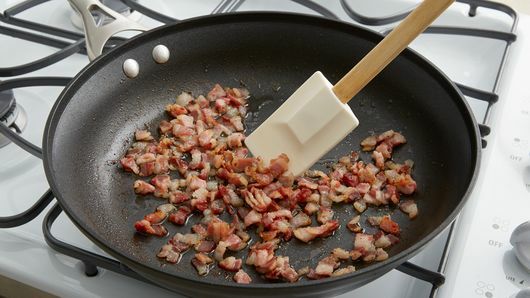 In 12-inch skillet, cook chopped bacon until crisp. Drain on paper towels. Reserve 1 tablespoon bacon drippings. 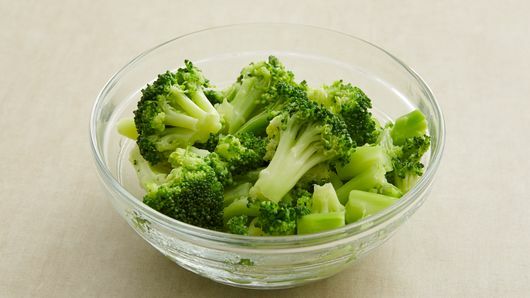 Microwave broccoli as directed on box. Set aside. In same skillet, heat 1 tablespoon bacon drippings. 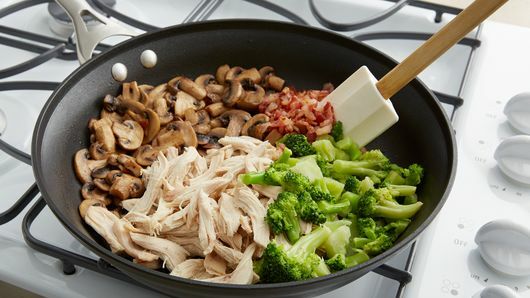 Add mushrooms; cook over medium-high heat 3 to 5 minutes, stirring frequently, until tender. 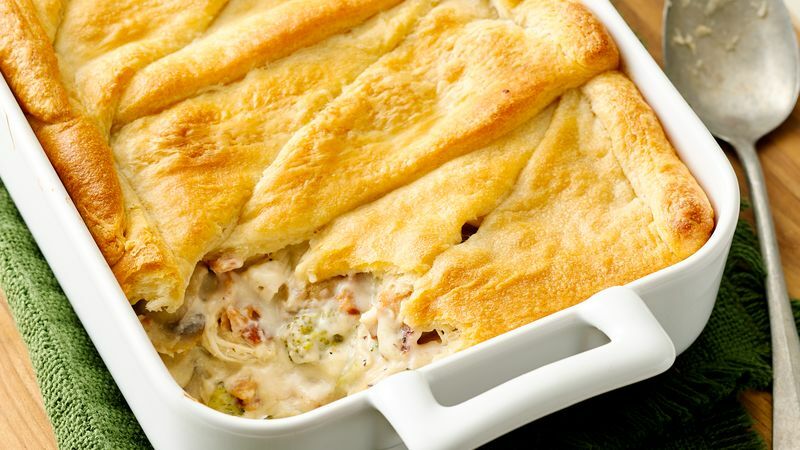 Stir in bacon, broccoli, chicken, Alfredo sauce, cheese and pepper until well blended. Spoon into baking dish. Separate dough into 8 triangles. Starting at short side of triangle, roll each triangle up halfway. Arrange over top of hot filling, alternating triangles to fit in baking dish. Bake 22 to 26 minutes or until crust is deep golden brown. Cover with foil last 10 minutes of bake time to prevent overbrowning, if necessary. Chopping bacon into smaller pieces before you cook will shorten the bacon's cooking time. 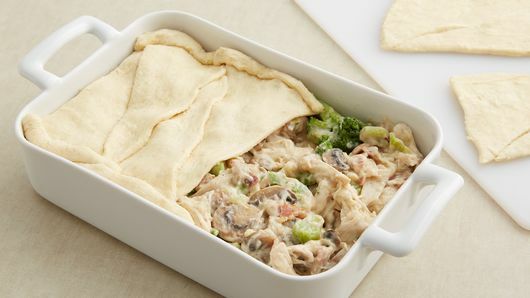 Rotisserie chicken is a good substitute for cooked chicken in this recipe. It is readily available in the deli section of the grocery store.